Here at A&D Autos your peace of mind is our priority. With over 30 years’ experience in the motor trade, we can guarantee you a prompt, reliable and professional service. 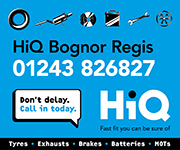 When you come to our garage in Bognor Regis, West Sussex we want you to feel confident and in control. We are members of Checkatrade, and only ever fit OEQ (Original Equipment Quality) parts, all of which carry a minimum 12 month guarantee. A&D Autos are also voluntary members of the Motor Industry Code of Practice, a government-backed body committed to maintaining high standards throughout the car service and repair process. Remember, here at A&D Autos, there is no job too big or too small. We want to help you, so we are happy to provide you with free advice and free estimates today. Do not hesitate to get in touch if you would like to know more; our friendly team is always on hand to answer any questions you may have.